At Genesis, we are a place for new beginnings. We open our doors and welcome people from all walks of life and desire to build each other up in the love and teaching of Christ. Through worship, community, and outreach, we grow authentic followers of Jesus Christ who are learning to love God and live as disciples, empowered by the Holy Spirit. Here at Genesis Church, we live by our Core Values and desire for others to be impacted by them as well. Hospitality – we welcome all who come our way believing that it is God who has sent them to us. Our Wesleyan heritage teaches us that God is actively working in the life of every person – drawing them to Jesus Christ for the purpose of redeeming and restoring their lives. We consider every person who comes to us a gift from God and an opportunity to encounter God through welcoming them. Generosity – we have experienced God’s grace in abundance, so we freely give all that we can to all who come our way. Generosity is a chief characteristic of God, therefore God’s people will be generous when they are in right relationship with Him. Jesus said, “Freely you have received, freely give”. The best evidence of God being at work in our lives is when we are self-giving. The process of true conversion is movement from more receiving to more giving. Authenticity – we are all on a journey of transformation, so we permit people to be real in their pursuit of God. Following the lead of Jesus, who called imperfect people to follow Him and gave space for them to be transformed in the process, we seek to cultivate a judgment-free culture which allows people to grow at their own pace. The gospel message is about a journey, not a destination – it is about a process, not an event. Dignity – we are all created in the image of God, therefore each person has inherent value and should be treated as such! In a culture that uses labels to group people together into stereotypes, we seek to restore personhood to people. We reject the groupings of “us” and “them” and instead embrace the truth of every person’s inherent value. The God who knows each of us by name calls us to honor His image, scarred as it may be, in every person. In this way, we will restore dignity not rob it. Deliverance – we are committed to helping all who come our way experience a life of true liberty from the tyranny of sin. We are convinced that the gospel message is more than forgiveness of sin and the assurance of heaven. God’s promise is not only of eternal life but also of abundant life. That life of abundance is discovered as we allow God to break the cycles of sin in our lives and empower us to rise above the painful and disappointing circumstances of our past. Genesis worship style is contemporary. There is no dress code, come as you are prepared to worship. 205 Martin Luther King Blvd. 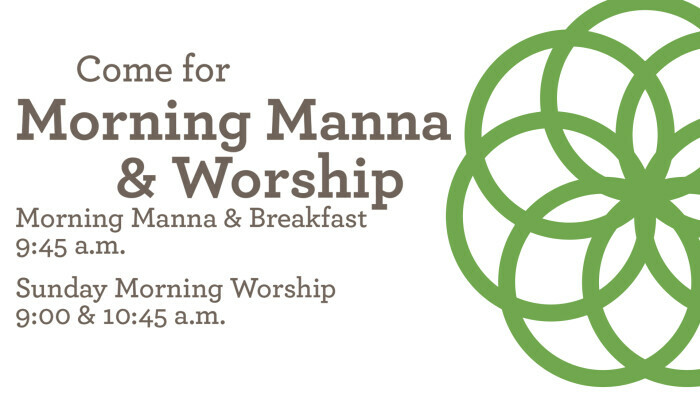 Morning Manna Service: 9:45-10: 30 a.m. Every Sunday In Fellowship Hall | Includes Breakfast! There are many ways to serve at Genesis Church from Community Meals to Sunday School, ushering to worship team, and more! If you are interested in serving, please contact Janice Hanna at or call the church office at 479-442-1827. Children are always welcome in our worship services but we also offer age-appropriate lessons for children ages Infant thru 5th Grade. For more information, please contact Nicole Guenther at 479-442-1827 or email . Here at Genesis Church, we believe in serving others as Christ has called us to. For this reason, we provide three hunger ministries for the community: Community Meals, our Genesis food and clothing pantry, and USDA Commodities. Lunch Served 11:15 a.m. -12:30 p.m. Doors open at 10:00 a.m. with Lunch Served from 11:30 a.m. -12 p.m. 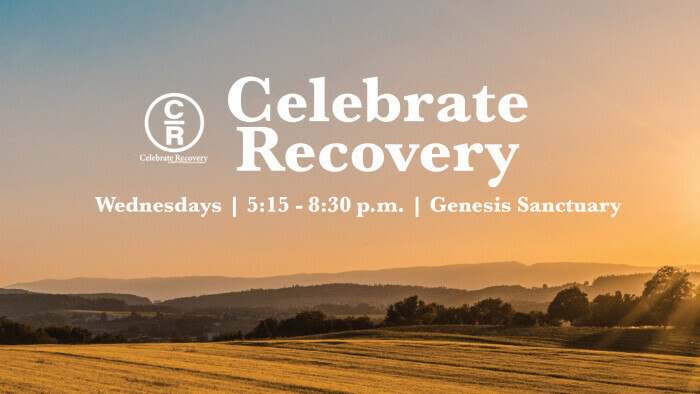 Celebrate Recovery is a Christ-centered program that helps us deal with life’s “hurts, habits, and hangups.” The purpose of Celebrate Recovery is to celebrate God’s healing power in our lives through the eight recovery principles found in the Beatitudes (Matthew 5:1-11) and the Christ-centered 12 steps. Genesis will offer this program on Wednesday evenings beginning October 24. For more info on Celebrate Recovery, contact Janice Hanna at or call 479-442-1827. Genesis Campus houses a food and clothing pantry for those in need. The food pantry is providing for over 350 families a month. Individuals in need may come to our offices Monday thru Thursday from 9 a.m. to 3 p.m. The pantry is also open to all in need on the last Saturday of the month. USDA Commodities is an outreach to our local community that provides bags of food to families in need. Various canned goods and occasional meat and eggs are donated by the USDA, delivered by the Sheriff's Department and packed and prepared with love by volunteers. USDA Commodities are distributed on the third Thursday of every month from 12 -2 p.m. in the USDA Room at Genesis Church. To receive food, an application must be picked up on the day of distribution and returned for approval. Approval is given to those who meet income-based need and the amount of food received is based on family size. For more information, please contact Janice Hanna at 479-442-1827 or . The church in south Fayetteville started in the summer of 1941, when Harry Denman attended an evangelist school at Mount Sequoyah Assembly. The 150 men attending were committed to taking the Gospel to the community. In June of that year, from the tents of a revival on the corner of Church and South, grew the first members of what would eventually become known as Wiggins Memorial United Methodist Church. Wiggins church joyfully served its community for over 73 years. 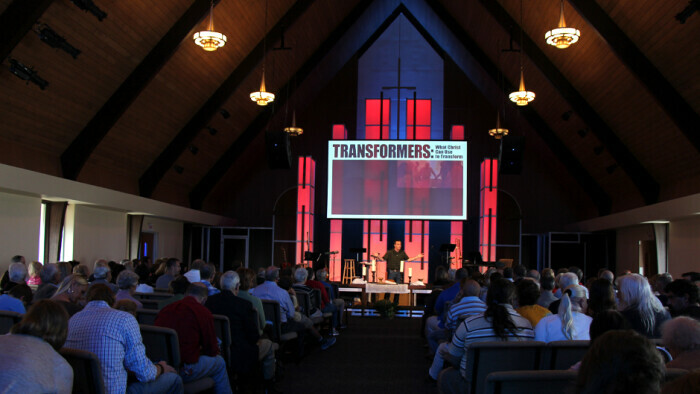 In 2013 after many years of worship and service, Wiggins was faced with the reality that they would have to close their doors. They decided the best way to maintain their original mission was to transfer the staff and assets to another church. Central United Methodist Church, located on Dickson Street, saw an opportunity to expand its ministry and began the renovations on what would become its new satellite church, Genesis Church. Over a year's time, while undergoing these improvements, the congregation continued to worship, thrive, and grow in size. Genesis Church has become a unique combination of old and new. Committed to taking the Gospel to the community, it is a place for new beginnings. Any day of the week you will find the church bustling with activities from updating the campus to community groups meeting. Genesis Church is known for its radical hospitality and people who are authentic, loving, and centered on being followers of Jesus Christ. In the video below, you will hear the testimony of Genesis Campus Pastor, Rev. Jody Farrell.